Thinking Pinoy: Google equates "konsumisyon" with "Roxas"
Google equates "konsumisyon" with "Roxas"
Have you tried googling "translate konsumisyon"? You'll be surprised. A Google search using the keyword pair"translate konsumisyon" yields the word "Roxas" in English. When someone uses "translate" as the first keyword in a Google search, Google automatically pulls up its translation engine that will automatically translate the string of keywords that come after the word "translate". In this case, Google translated the Filipino word "konsumisyon" into "Roxas", where Google recognizes the latter as an English word. The word "konsumisyon" is Filipino for "grief" or "heartarche". The word "Roxas", however, is not part of standard English as defined by the Oxford English Dictionary. Instead, it can be found in two languages: Galician and Portuguese. The word "roxas", plural for "roxo", which means "reddish-brown" and "red" in Galician and Portuguese, respectively. Galician is spoken by 3 million people in northwest Spain, while Portuguese is widely spoken by over 215 million people in Europe, South America and Southern Africa. There is a small but significant difference, however, between the results of Google translate and the Galician/Portuguese word. The Galician/Portuguese word "roxas" is a plural adjective, which is rarely capitalized. Meanwhile, Google translate yielded "Roxas" with a capitalized "R", suggesting a proper name. "Roxas" is a popular last name in the Philippines. A former Philippine president and a presidential candidate bear it. 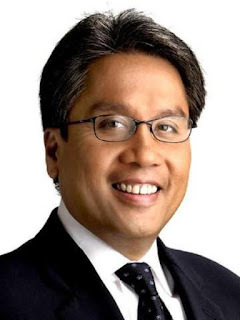 How did "konsumisyon = Roxas" happen? In a Google vlog entitled "Inside Google Translate", Google explains how Google Translate works. "All our translations come from computers. These computers use a process called statistical machine translation, which is just a fancy way to say that our computers generate translations based on patterns founds in large amounts of text," according to the video blog. Basically, Google Translate works by finding statistical correlations between two words from different languages. In this case, it appears that the system found one between "konsumisyon" and "Roxas"
"Instead of teaching our computers all the rules of a language, we let our computers discover the rules for themselves. They do this by analyzing millions upon millions of documents that have already been translated by human translators. These translated text comes from books, organizations like the UN, and websites from all around the world. Our computers scan these texts, looking for statistically significant patterns," according to the video blog. From this, it appears that there is a significant number of documents that associate "Roxas" with "konsumisyon". Google Translate, however, has its limitations. "For some languages, however, we have fewer translated documents available, and therefore, fewer patterns that the software has detected. This is why our translation quality will vary by language and language pair," according to the video blog. To compensate for this limitation, users can "suggest edits" to translated texts. This can be done through a link at the translation results page. For example, Thinking Pinoy attempted to change the translation of "konsumisyon" to "Binay" once. The results, however, remained the same, as shown in the video below. One suggestion, however, is not enough to change the way the system translates a particular word. Are there so many pairings of konsumisyon and Roxas that Google Translate's system equated the two words? Or was the system gamed by a significant number of internet users? Whichever the case, it's amusing. The mining crony, botching the Cheaper Medicines Act, resume padding, the internet troll army.